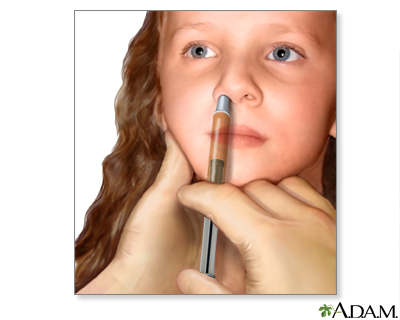 The flu vaccine can also be administered as a nasal spray instead of the usual injection method. It can be an alternative for healthy, non-pregnant people age 2 to 49 who want to be protected from the flu virus. Unlike the regular vaccine, it is a live virus. Therefore, it is best if the person receiving it does not have close contact with people who have a weakened immune system. For the 2016-2017 season, CDC recommends use of the flu shot (inactivated influenza vaccine or IIV) and the recombinant influenza vaccine (RIV). The nasal spray flu vaccine (live attenuated influenza vaccine or LAIV) should not be used during 2016-2017.